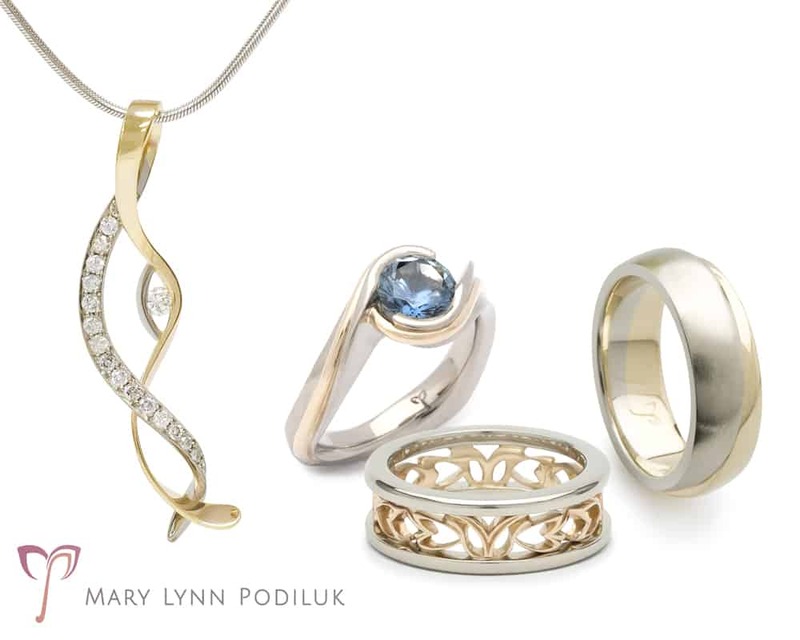 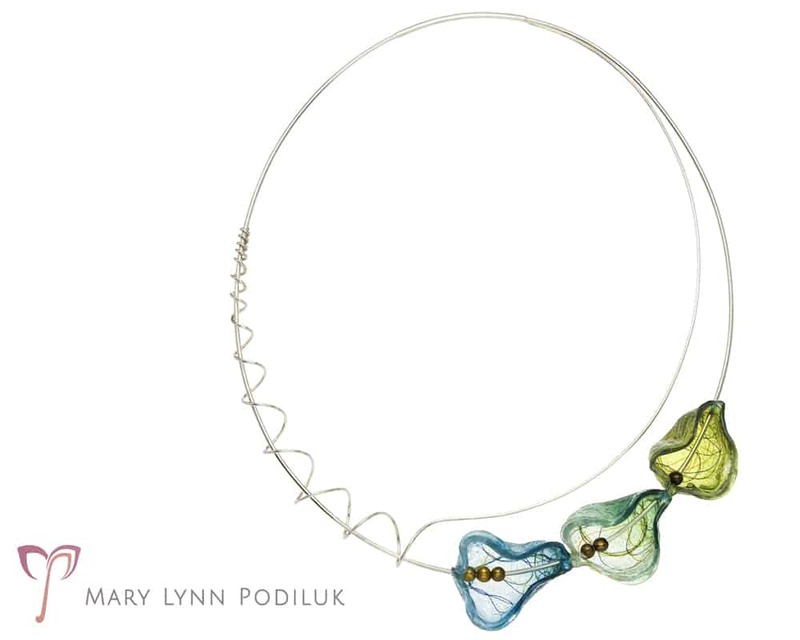 Mary Lynn Podiluk is a Saskatoon-based Art Jeweller & Goldsmith who explores language and sound through precious metals and contemporary materials. 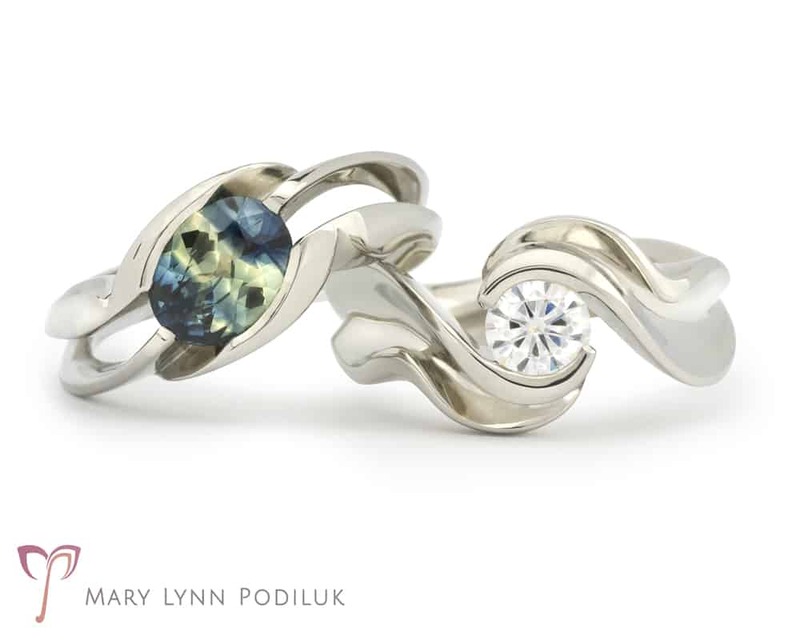 She received a BFA in Jewellery Design and Metalsmithing from NSCAD University in 2012, having previously studied linguistics. 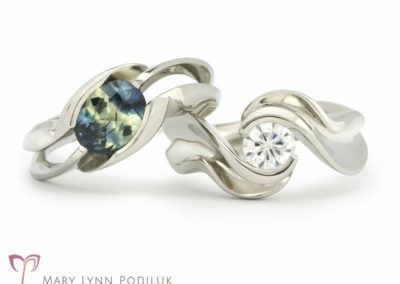 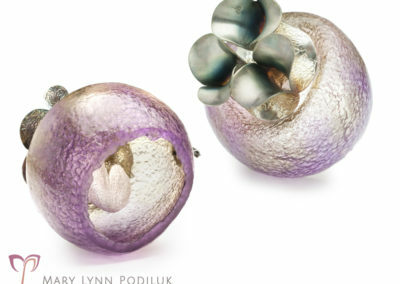 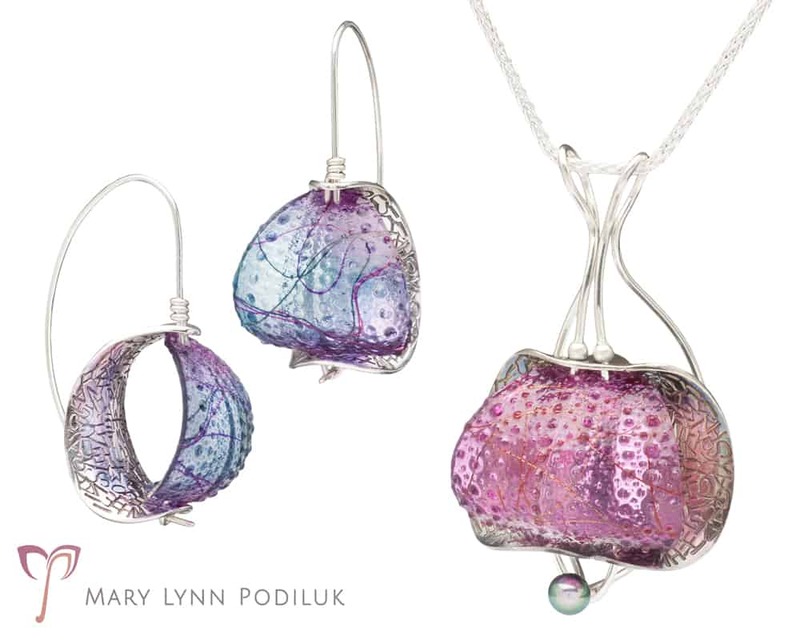 After graduating, she won the Canadian National Jewellery Student Competition (Ottawa, ON) and has exhibited her work nationally and internationally. 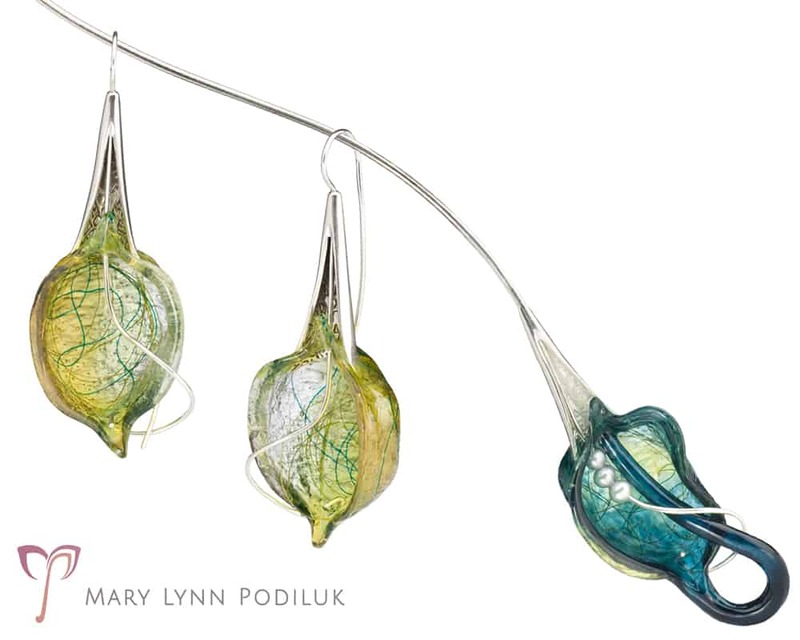 She has had work juried into the Saskatchewan Craft Council’s last three biennial Dimensions exhibitions, in which she received awards for excellence in fine craft and functional ware. 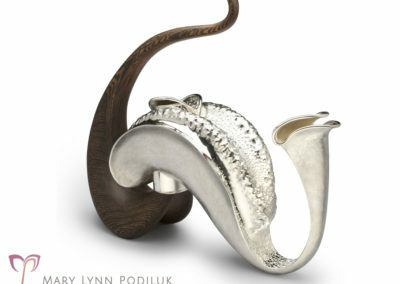 She is a two-time NICHE Award winner (Washington, DC), including one for her teapot ‘Metalanguage’ which now resides with the Kamm Teapot Foundation. 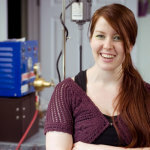 Her work can also be found in the Saskatchewan Arts Board’s Permanent Collection and the estate of Carrie Fisher. 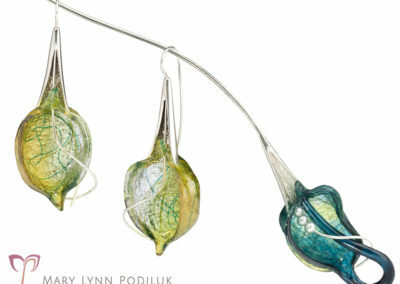 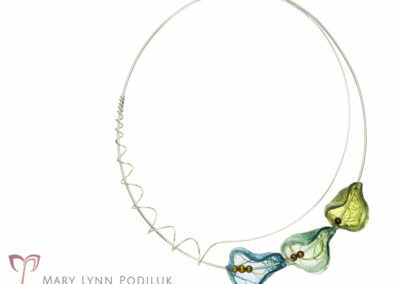 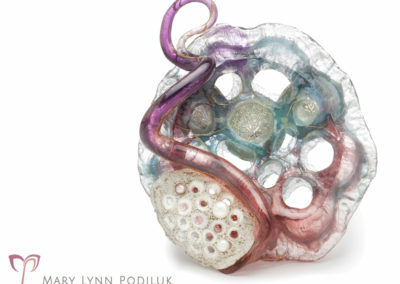 Mary Lynn’s full-time studio practice integrates her passion for art and her fascination with linguistics. 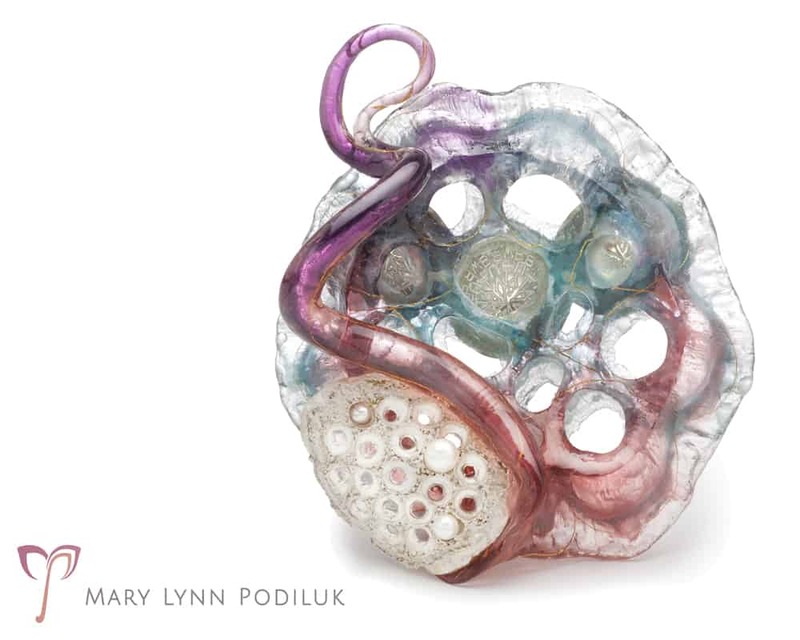 Viewing natural objects through perspectives of speech and sound, her work alludes to aspects of language through anatomical and organic forms, linguistic textures and acoustic representations. 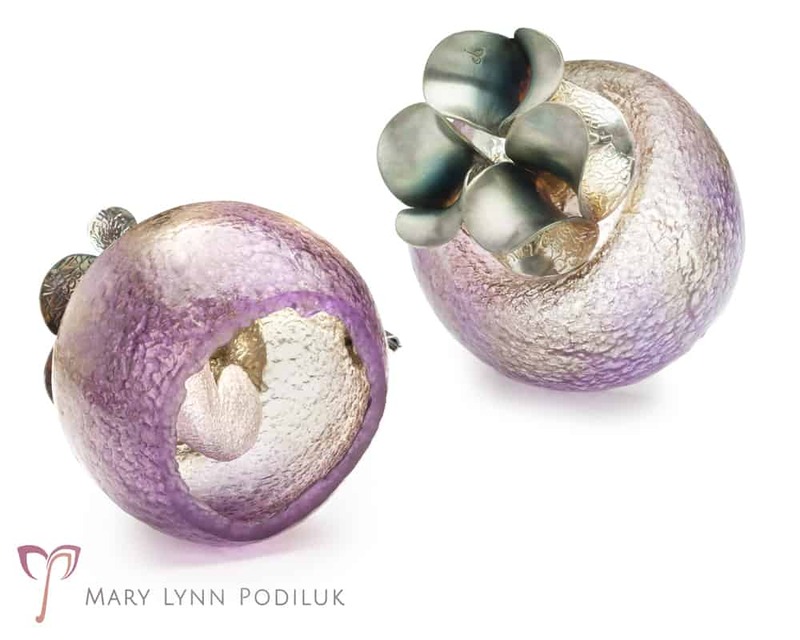 She brings a foundation of traditional goldsmithing to a contemporary space by exploring alternative materials and techniques which she has adapted and refined through continuous self-directed experimentation. 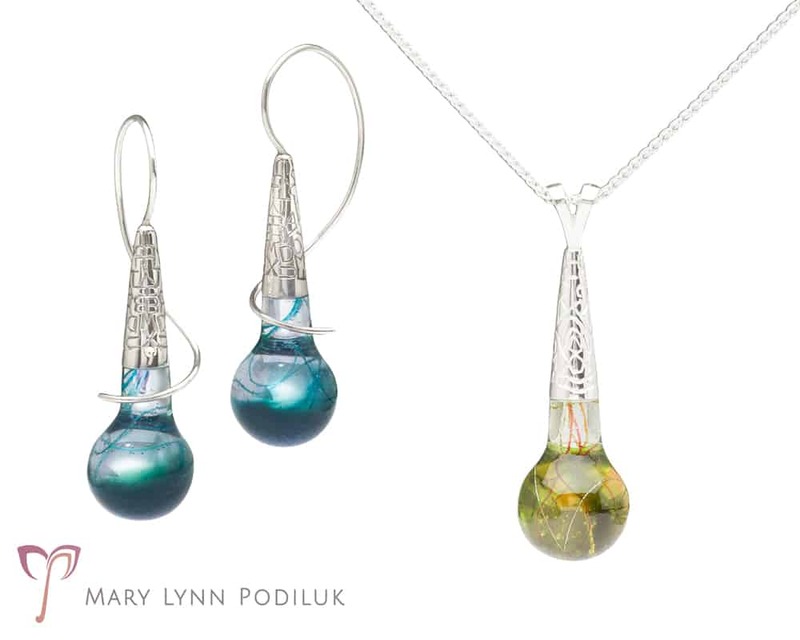 Precious metals, gemstones and glass-like resin and silicone come together to create an interplay of light and colour between lustrous surfaces and vibrant transparency. 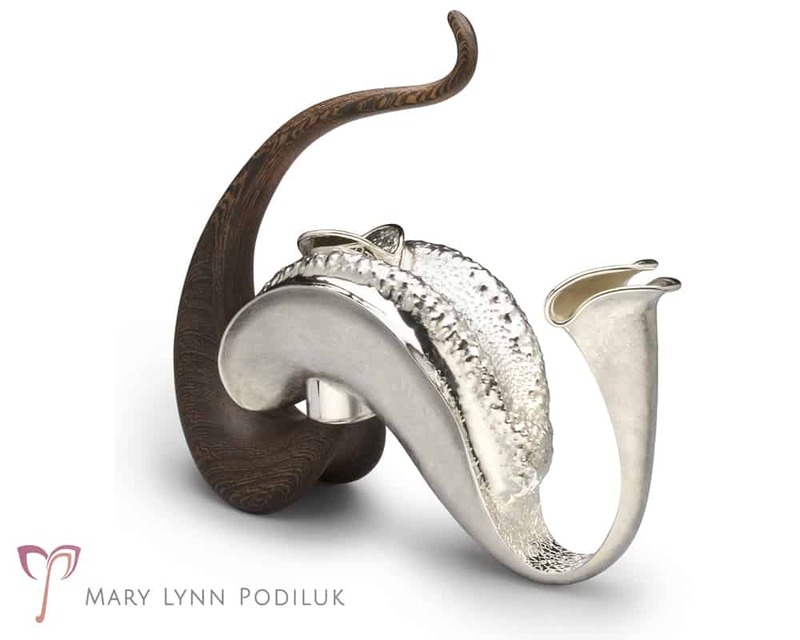 The result is sculptural, expressive work that speaks to the viewer, whether on the body or on display. 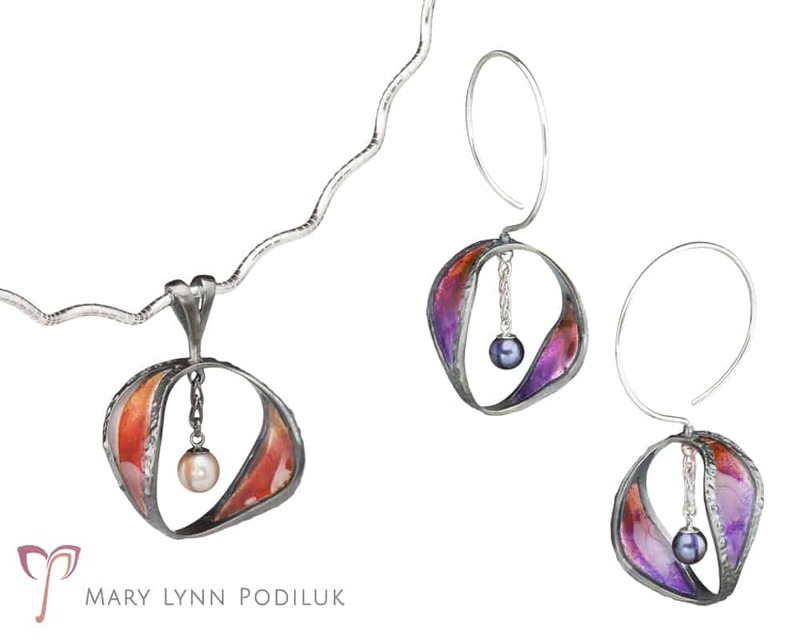 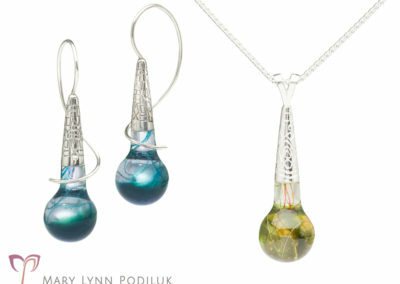 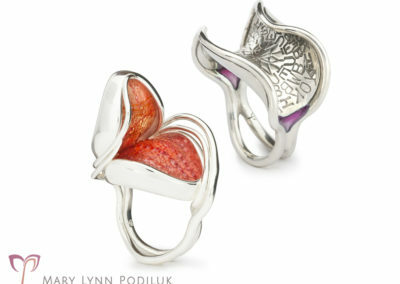 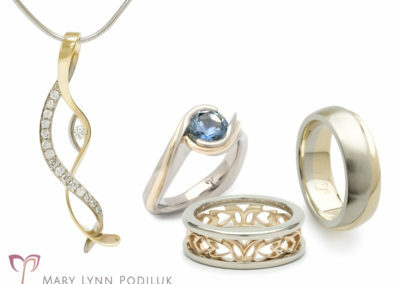 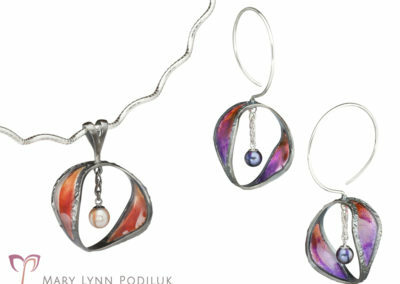 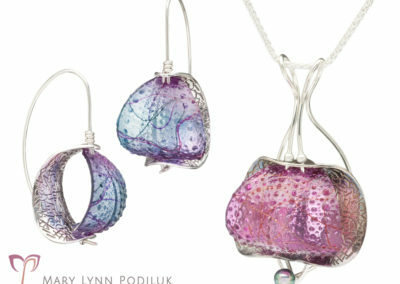 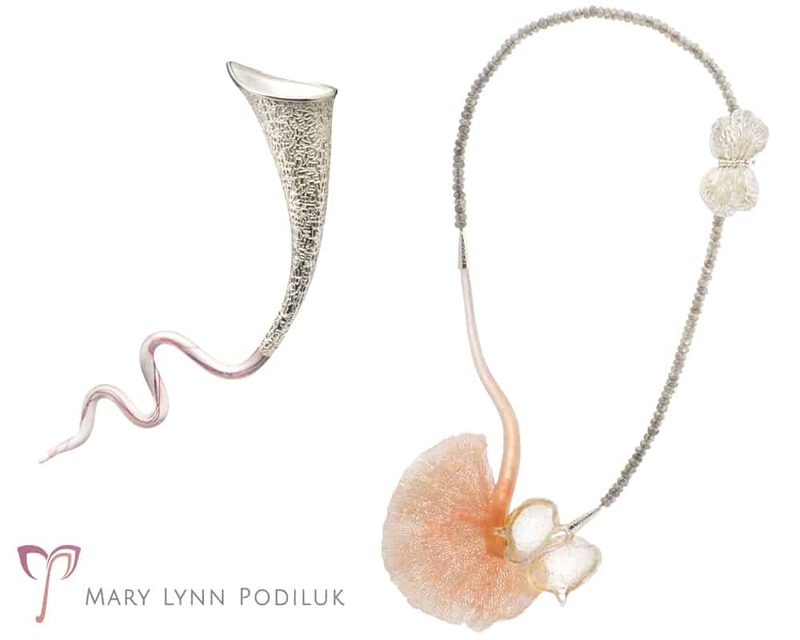 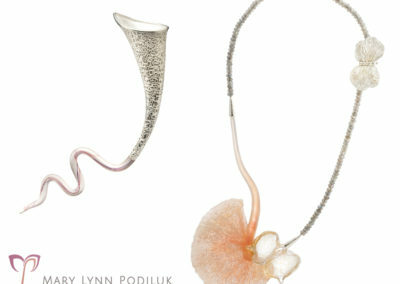 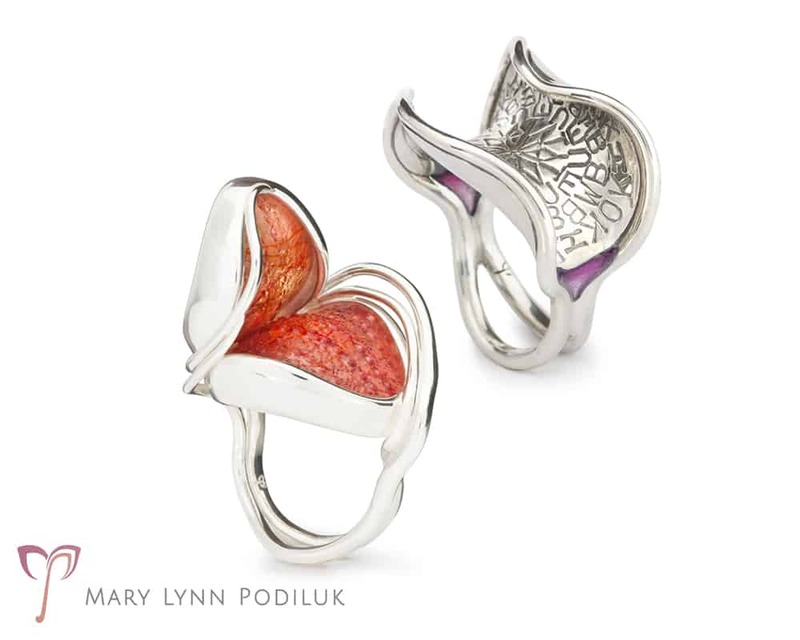 Mary Lynn creates one-of-a-kind pieces and collections of art jewellery as well as custom fine jewellery.